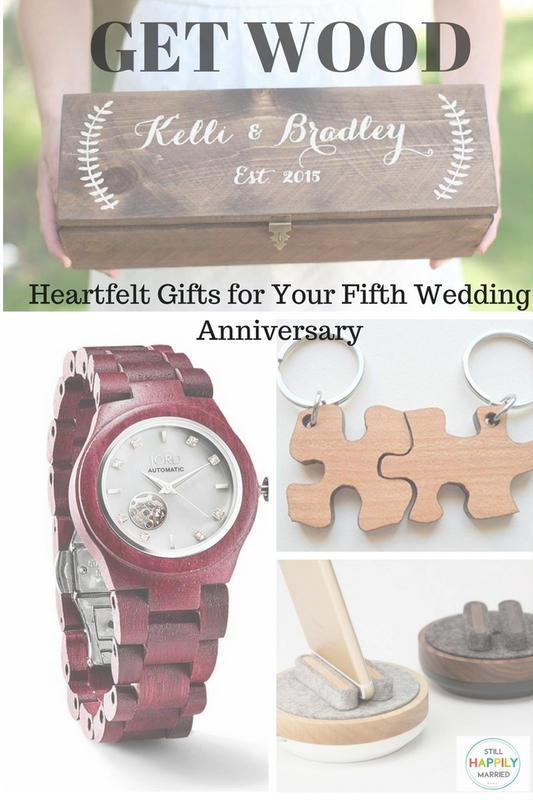 Keep the home fires burning with these heartfelt wood gifts for your five year anniversary. These thoughtful, intentional gift ideas will give that five year milestone the respect it deserves. I’m coming up on my five year wedding anniversary and I don’t know about you all, but we have been through a lot! Several job changes and two career rewrites, a big move, a big surgery, two beautiful children, and the loss of a pet. With so much joy and so many challenges packed into those 5 years, I want to mark this anniversary with an intentional, heartfelt gift to my enduring life partner. 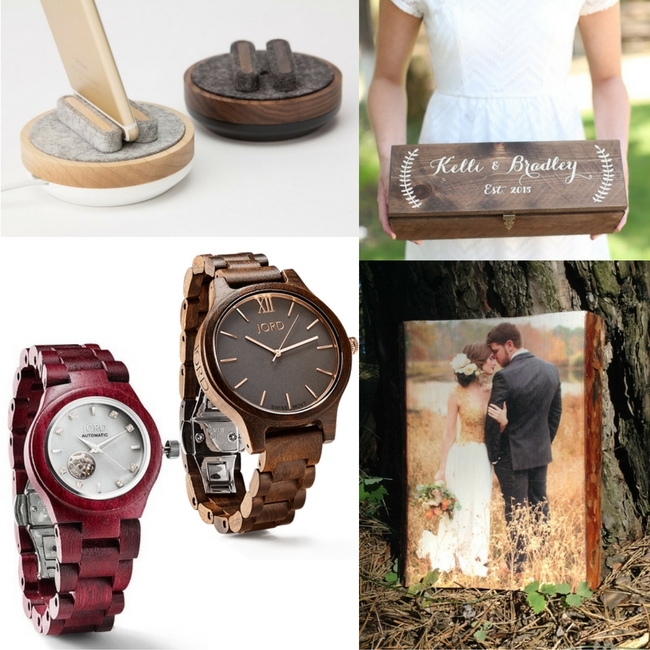 The fifth anniversary is wood so I rounded up my favorite wooden gifts below. Many of these can have dual meanings, both as a lovely gift that your partner will enjoy and as an intention for how you will live your next five years together. 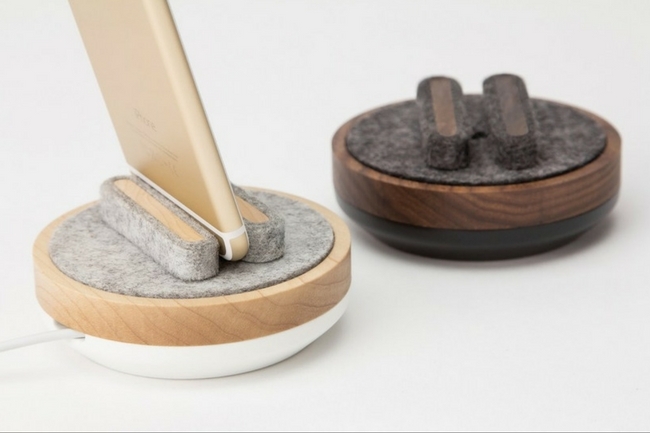 Quell & Co.’s Spool iPhone Docks in Maple & Walnut, $65 ea. This is what my husband and I are actually giving each other for our anniversary. We decided we needed to be more present and less on the phone while with our children. We want to be able to dock our phones in the common rooms so they can charge and we can still hear phone calls if necessary. I love the mixed natural materials of the wood and wool, and the moody walnut paired with the bright maple make for great His & Hers set. They also spin which is great if you want avoid staring at that beckoning black screen while your phone is docked. 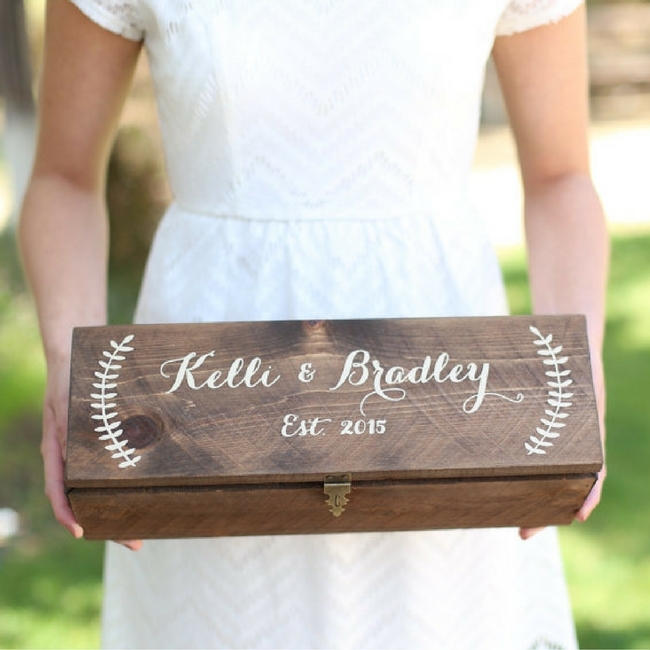 This beautiful rustic wine box from bragginbags on Etsy can be totally customized. You choose the wood color and the lettering color, as well as what it says. I think it’d be great to pick a fabulous bottle of wine and let it age in there until your next anniversary, or until your ten year anniversary! 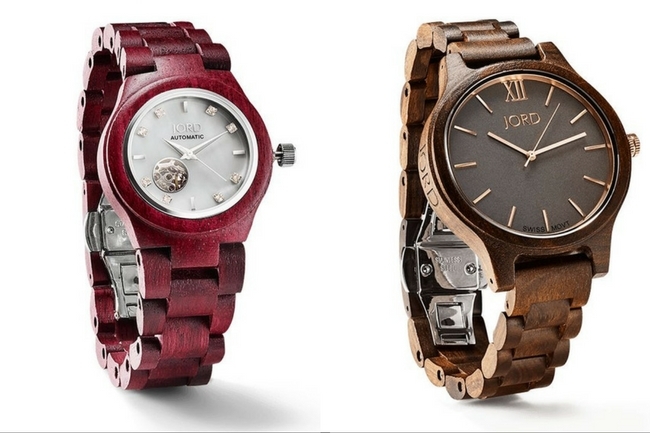 Left: Jord Cora Watch in Purpleheart Wood $275. Right: Jord Frankie Watch in Dark Sandalwood $189. 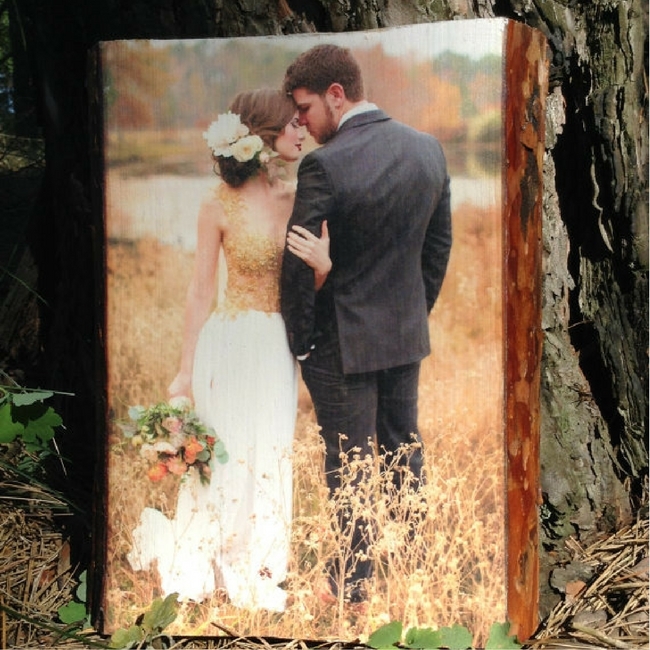 There are great tutorials on Pinterest on how to DIY a photo onto wood transfer, or you can order one on Etsy for $30. If you’re like us and still have the same wedding photos up that you framed when you first got married, this would be a great way to change up our wedding photo display. 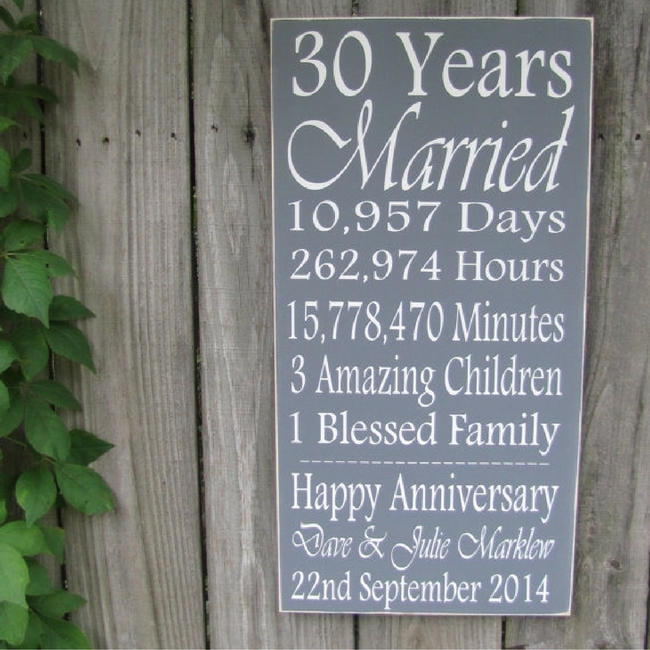 Another Etsy find is this custom wooden wedding anniversary sign to hang in your home. With this you can commemorate all the happy milestones to show how far you’ve both come since those heady newlywed days. There are so many lovely, meaningful options for fifth wedding anniversary gifts. Keep those home fires burning with these gift options. Hope you enjoyed my picks! Head on over to Reining in Mom to sign up for my email newsletter and check out my other picks for healthy happy parenting. Lawyer turned stay at home mom of two trying to honor my spiritual and physical wellness while giving my all to raising my kids.